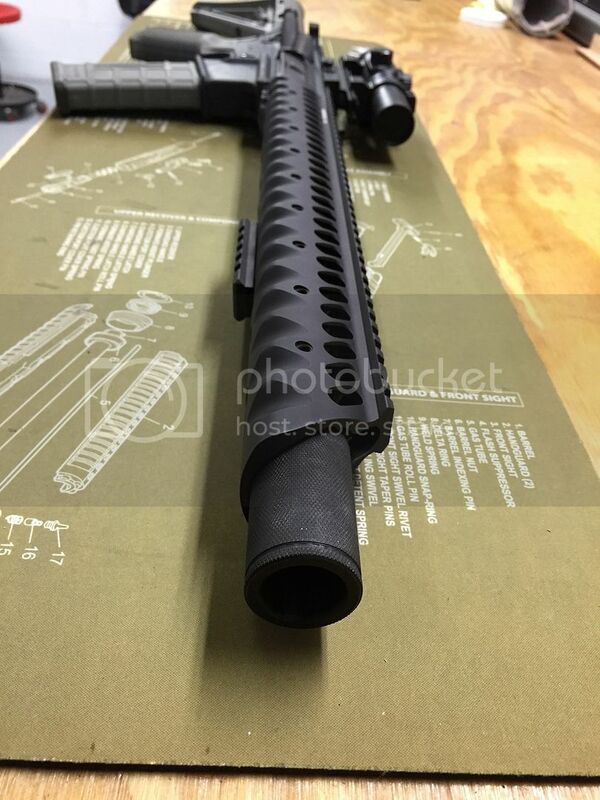 16" sota arms upper with diamondhead USA free float handguard. Includes bcg and ch. comes with bushnell red dot and mount, but needs a battery. Asking $550 shipped. Message me any questions. Interested. 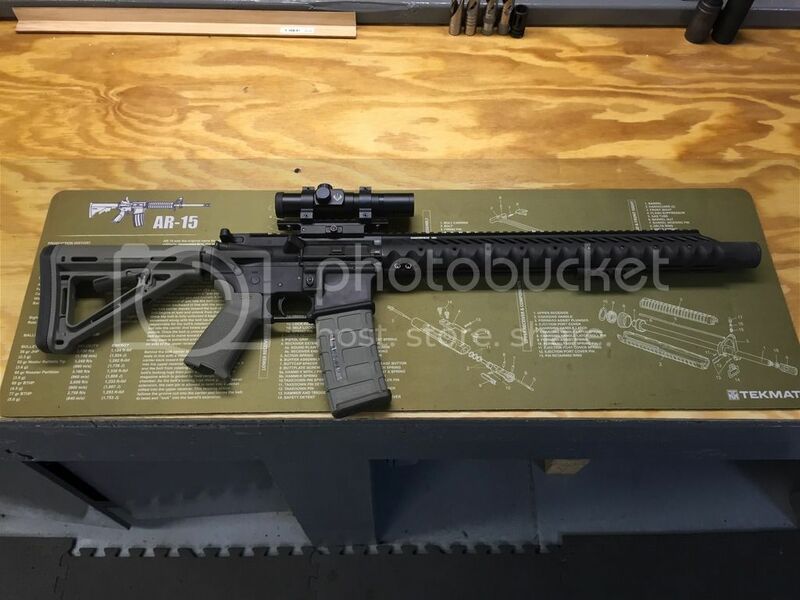 How many rounds through barrel? 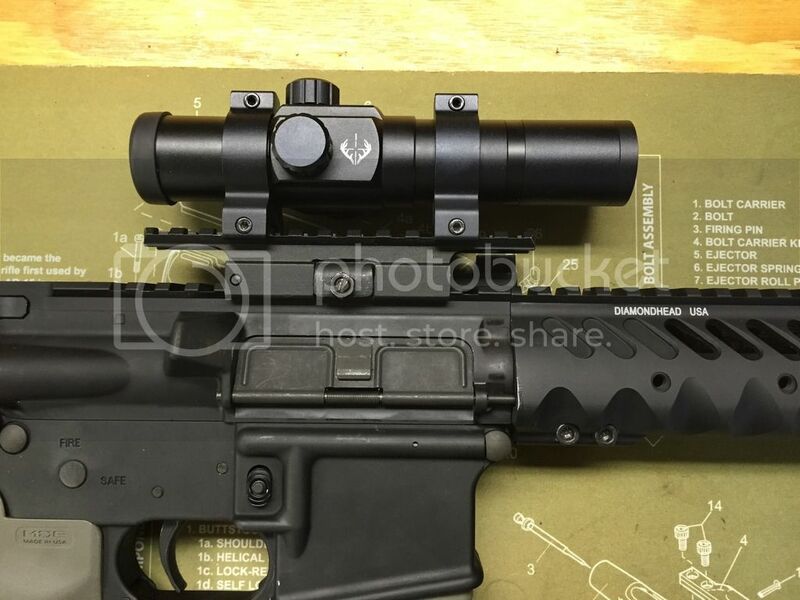 And what muzzle break/flash hider is on it?